Some adventures grab hold of you and never let go. When it rains in Canyonlands National Park, water streams down the slickrock domes in sheets. Along the park’s Green River, where the sheer canyon walls squeeze in on both sides, the rain cascades in dozens of mini waterfalls. If a little sunshine breaks through the clouds, the falling droplets glitter like diamonds against the red sandstone. And if you happen to be paddling a canoe down the river when this occurs, it’s like floating through a dream. I lucked into this scene on my first trip through Stillwater Canyon on the Green. It was spring, about 15 years ago, and the water was running fast and high, whisking us—a couple friends and our dads—downstream. It seemed we only had to steer to make our daily mileage. When the rain passed, we beached our boats and hiked in the Maze, the park’s convoluted slickrock heart. That side excursion produced the single regret of the whole 58-mile journey: We were only on the river for four days, which didn’t allow time for other side trips and exploring. Before the trip was even over, I thought, I’m doing this again. A few years later, I was back, this time with my young kids on a friends-and-family trip. We went for five days, in the fall, and I discovered the joys of the late season. The river was low and slow, which meant the kids could swim and even run through the often-knee-deep water if they got antsy in the canoe. We camped on football field-size sandbars, some with 6-foot banks that provided hours of digging-castle building-jumping entertainment. Before the trip was over, the kids declared, We’re doing this again. And so we did. Three more times, in fact. The same trip: five days from Mineral Bottom to Spanish Bottom. Over time, we found the hidden slot canyon with a swim-in entrance; spotted fossilized dinosaur tracks and Ancestral Puebloan ruins; slept under the stars; got sand-blasted by windstorms; and once, on a hike to the Doll House rock formation, lucked into another show of rain and light and redrock. This is better than a dream, I remember thinking. It’s like being in love. You hope it never ends. I’m not alone. Indeed, I’m a bit of a lightweight when it comes to park repeats. I have a neighbor, Jonathan, who has hiked the same route in the Grand Canyon almost every year for more than two decades. He was 48 when some friends invited him to join them on the Escalante Route. It was an audacious choice for his first Grand Canyon hike—it’s a challenging weeklong trek in the eastern side of the park, connecting the Tanner and New Hance (or Grandview) Trails. This magazine has called it the park’s best hike. Jonathan enjoyed recruiting new partners and introducing them to the route. He enjoyed mastering the logistics of a difficult hike, and the familiarity of returning to a place he loves. He enjoyed the characters who connected the years—the boaters who tossed him a cold beer, the ultralighters who breezed by with tiny packs, even the unprepared novices who abandoned gear and sometimes had to be rescued. In recent years, his two daughters, now young adults, have joined him, embracing what’s become a family tradition. Friends have pointed out to him that there’s an opportunity cost, to borrow from business speak. If he commits his one big annual trip to the same route every year, isn’t he missing out on exploring new parks? Or even just trying new trails in the Grand Canyon? Perhaps we can have wilderness soulmates as well as the human kind. You just have to hike enough to find yours. Perhaps, as the author Milan Kundera wrote, "Happiness is the longing for repetition." I THOUGHT ABOUT JONATHAN on a recent Grand Canyon trip of my own. It was a family hike to Bright Angel Campground, during the Christmas holidays last year. It was my third time at this same campground over Christmas, hiking the same South Kaibab-Bright Angel route. The first time I did it, I packed tinsel and ribbons to decorate the tent. The second time, my wife wrapped gifts for the kids to open under a cottonwood tree. Other campers were from all over the country and world, and regardless of faith or cultural background, everyone seemed a little more cheerful than average. We sang carols with a group of rafters, and the canyon walls amplified the music like a concert hall. Later, we watched stars come out, the Milky Way framed by the rim. Another time, mist swirled through the canyon, blotting out the sky and enhancing the silence. One of the best parts about repeating trips is finding that nothing truly stays the same—not places, not you. On our last Grand Canyon trek, we planned to camp at Indian Garden, halfway up the Bright Angel Trail, to break up the hike out, just as we’d done when the kids were younger. But now we have teenagers, and when we got to the bottom they scoffed at the suggestion that they couldn’t hike out in one day, and insisted we do just that. At first, I resisted the idea. I’d enjoyed the previous trip so much I wanted to replicate it exactly. But when we reached the rim, and the kids celebrated their triumph, I realized we hadn’t really abandoned a tradition. We’d created a new one. If you want a predictable family trip, go to Disneyland. Who knows what'll happen on a National Park adventure? As kids across the country head back to class, Lisa Jhung reflects on the joys of being a student of nature. Editor-in-Chief Dennis Lewon reflects on an alpine education. Stay dry on spring treks in Minnesota, New Mexico, and more. Growing up at the beach gave me a love for nature, and a desire to protect it. Now, I want to pass that on. 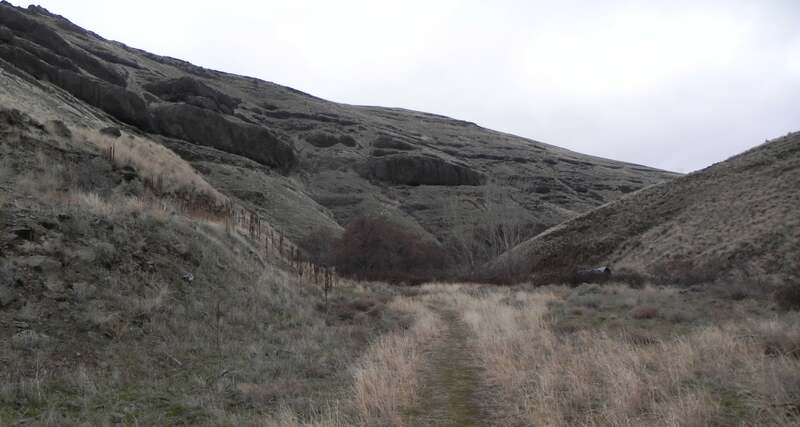 When it comes to backpacking destinations, Hells Canyon takes the cake. There's more to my pack than old-school chic. Wolf howls have echoed across Isle Royale National Park for decades. But with the once-widespread predators down to a single pack, the time to go hear--and maybe spot--them is now.